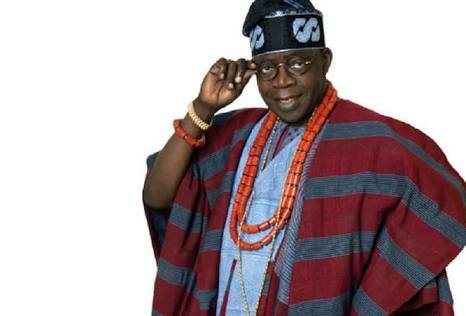 The governor of Lagos state Mr Akinwunmi Ambode, has described National Leader of All Progressives Congress (APC), Asiwaju Bola Ahmed Tinubu, as a great Nigerian political product and a successful leader who not only mentored many leaders in the country but laid the solid foundation for the sustained progress of the state. Speaking at 9th Colloquium held on Tuesday at Eko Hotels & Suits in Lagos to mark Tinubu’s 65th birthday, Governor Ambode said the test of any successful leader all over the world was in the number of leaders such leaders created, declaring that Tinubu without doubt, was a winner going by that globally accepted parameter. Ambode likened Tinubu, who he described as versatile and courageous leader, to a coconut tree blessed with divine task to be fruitful for a long time and useful to humanity. “Like the coconut, some by-products/fruits will get bad along the way or after being sold in the market; in actual fact, the political product may not be the favourite of some other people. “The bottom line, however, is simple. If Asiwaju Bola Ahmed Tinubu, were a coconut; I dare say, with all simplicity, I would be among the forefront liners that will eat, drink and sleep B.A.T. 24/7,” Ambode said. While alluding to Tinubu’s contribution to the growth of the state, Governor Ambode said: “There is no doubt the Asiwaju political dynasty is a made in Nigeria product. The foundation laid and blueprints developed during his tenure as governor of Lagos State which cuts across all sections of the state’s economy have actually simplified the process of governance till date. 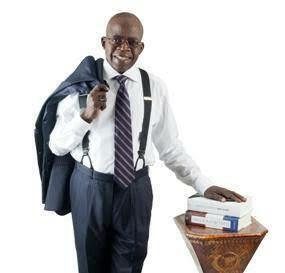 “His blueprint has continued to serve as a road map to achieving the Lagos of his and our dreams. This same political product without doubt, traverses the Nigerian landscape and that is evident with the emergence of the APC at the centre in 2015. Asiwaju is a made in Nigeria product. We should make more products out of him,” the governor said. Besides, Governor Ambode described the theme of the Colloquium which is: “Make It In Nigeria: Use What We Make; Make What We Use,” as apt, adding that the partnership between Lagos and Kebbi states which culminated in the production of Lake Rice was an eloquent testimony of the ability of Nigeria to be a producing nation. He, however, assured that his administration would continue to improve on indices of the ease of doing business to ensure that more products were made in Nigeria for the development and growth of the country. Speaking on the economy, Buhari, who was represented by the Minister of Interior, Abdulrahman Dambazau, said that the Federal Government was already putting policies in place to encourage and facilitate Small and Medium Enterprises (SMEs) to promote made in Nigeria goods, adding that same was part of his administration’s overall national economic policy. Also speaking, Minister of Finance, Mrs Kemi Adeosun, assured Nigerians that the country would soon be out of the economic recession, disclosing that the Federal Government was already copying the Lagos template to revive the economy. She said the Federal Government recently released N1trillion for capital expenditure to make the economy productive, adding that measures were being taken to bring about multiple streams of revenue. “The economic template we copied from you (Lagos) is now being implemented for economic recovery of the country and we are not ashamed to say it. The impact of that template is that many of the states are now copying it especially in the area of IGR,” Adeosun said. The celebrant, Tinubu, in his remark, said it was time for the Federal Government to press forward with its national industrial policy and national infrastructural plan, especially by creating infrastructural funding from financial institutions. 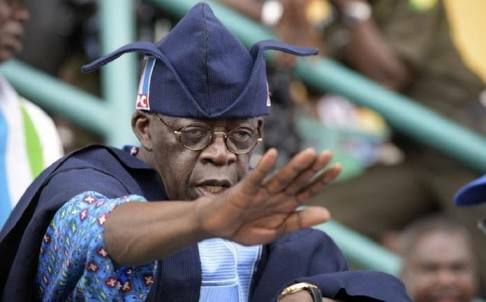 Tinubu, who commended the present leadership of the country, also advocated the need to embrace other forms of power generation and incentives to bring back some of the manufacturing companies that hitherto left Nigeria due to unfriendly business environment. over 80 per cent of prisoners in Nigeria were awaiting trial.